Even with a court full of conspirators, Jabba the Hutt never suspected Ree-Yees as a potential assassin. 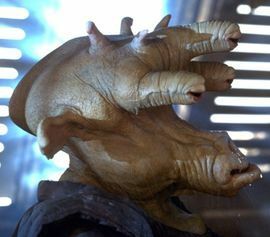 Ree-Yees cut a deal with the Empire to destroy Jabba, but fate would save that role for Princess Leia. Last updated by DAMartin on July 29, 2016. Contribute Profile Information for Ree-Yees.